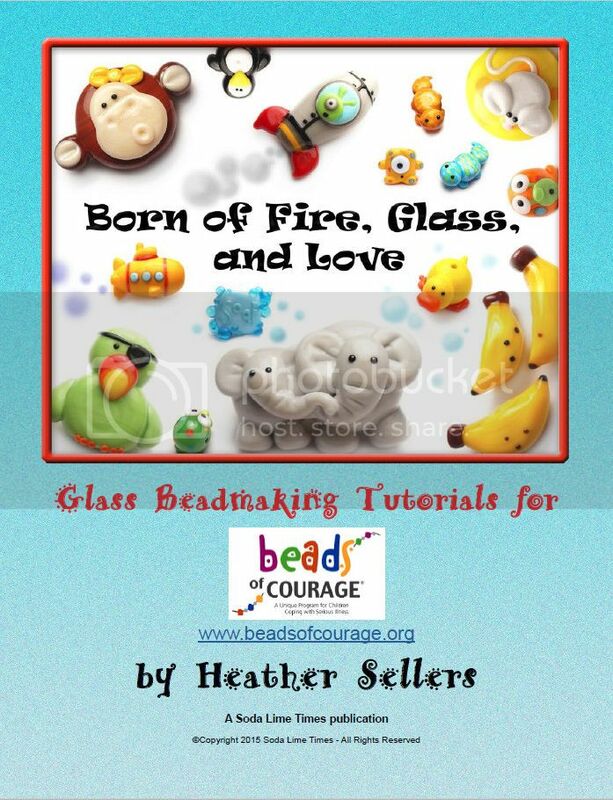 NEW Beads of Courage Tutorial eBook - Lampwork Etc. 100% percent of the proceeds from the sales of the eBook benefit the Beads of Courage program. I just downloaded this and like all of Heather's tutorials it's just wonderful - excellent step by step instructions and lots of photos. There is a also a free sample tutorial from the book - darling penguins! Thanks Heather for all you do for Beads of Courage! Enter to win a torch. I also purchased this and think it's adorable. Very clear instructions, great photos. I have a BoC event on Friday night and will bring it with me. I wonder if this should be added to the BOC thread as a sticky perhaps? I got mine as well! Really cool stuff!!! Hey, speaking of Beads of Courage, is there an equivalent program over in the UK? http://www.beadsofcourage.org/pages/hospitals.htm for hospitals in the UK. Are any of your earlier tutorials still available, Heather? Starting in the January 2016, monthly tutorials will be available in each issue of Soda Lime Times. I'm considering updating the older sketch ebooks to photography tutorial ebooks at some point, but haven't gotten around to it. Message me via FB if your are looking for the older sketch version. Pat!!! Your beads rock! Nice job. You will make some kids very happy. Thank you for posting your fantastic beads. Thanks so much, Heather. You did such a nice job on the tuts. I had other beads and got them in the mail before Christmas. I'm working on my second batch! So I have a bunch of BOC beads Mice, ducks, penguins and lots of Aliens. Just a tip, be careful how you build the ducks on the mandrel. My first one had the hole right below the tail. Oops. Lots of smiles for the kids there, great beads! Thankyou. The box has 107 beads.